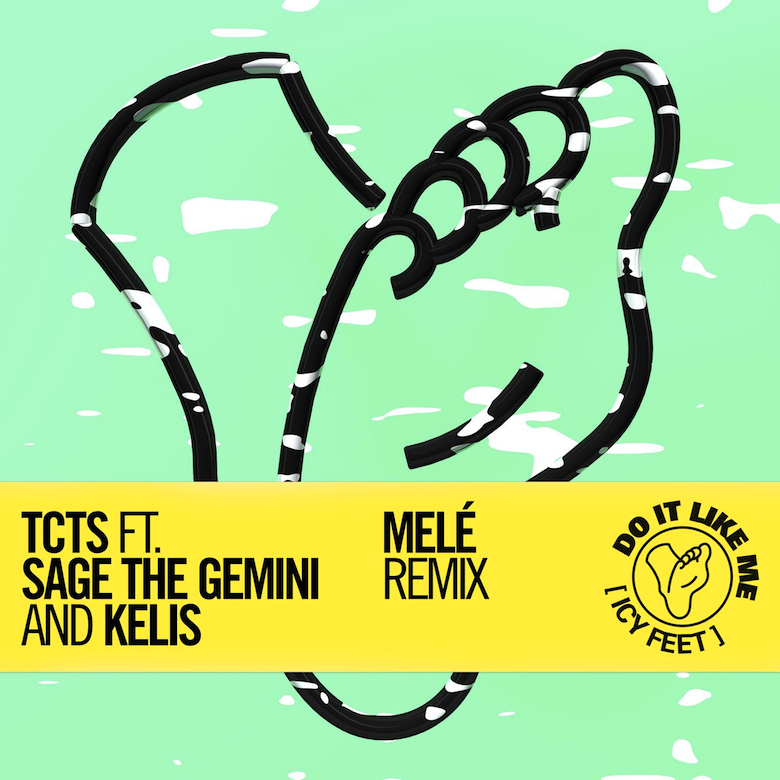 TCTS's original 'Do It Again (Icy Feet)' is a brooding slice of funky house that features rapper Sage The Gemini and the lilting voice of Kelis aching in the almost taunting pseudo-hook "icy feet…"—but in this re-do the Manchester producer's track gets more than just a facelift: the cold synth syncopation and robust rigid beat, the dark aura, the digitised mechanical body of the track – as well as all its shuffling funk – gets new life injected into it, becoming a warm, organic, living-breathing track courtesy of Merseyside producer Melé. Snare rolls drop in and snake through lively rattlesome, carnivalesque percussion clatters between bars: it lives! The serious slightly screwface nature of the TCTS track is, like a frown turned upside down, put on its head and has in this remix all but dissipated, with Melé adding a few cups of French touch-flavour impiousness, the bassline up-front and playful as it bounces through. Similarly the vocals get a slightly oddball treatment, warped and layered and twisted with atonal robotic pitch-shifting, taking the brazen almost cocky nature infused in the original vocals and making them less confrontational, more fun and trivial and leftfield as they repeat unrelenting, "I bet you can't do it like me…" Melé has birthed a yang to the yin concocted by TCTS, conceiving and delivering not just a light side, but a lighthearted side for his body-moving remix. 🔔 'Do It Like Me (Icy Feet)' is available to download from various outlets now.